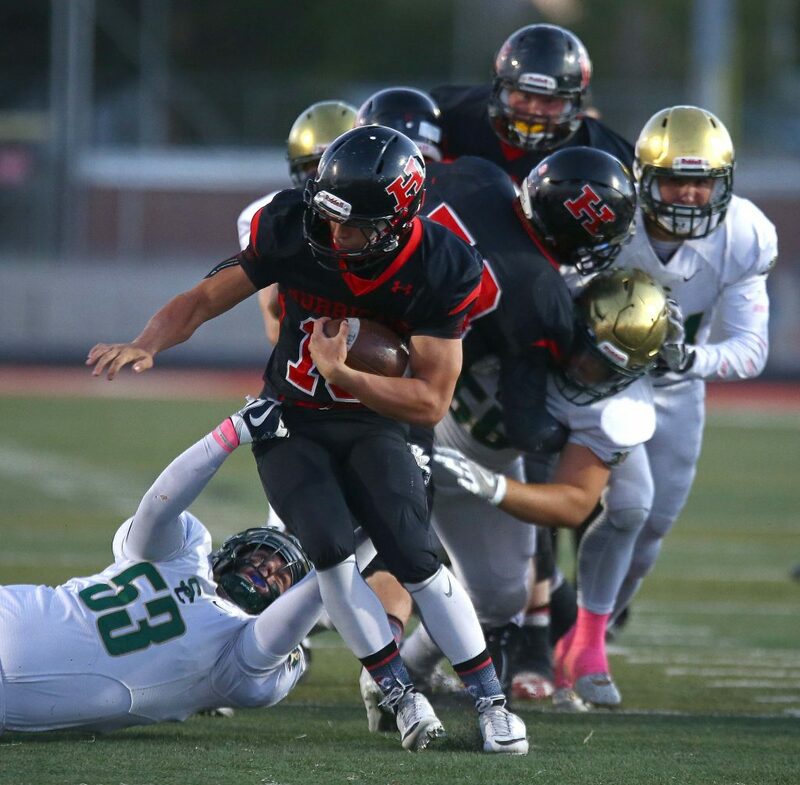 ST. GEORGE – Snow Canyon’s offense last week was finicky. 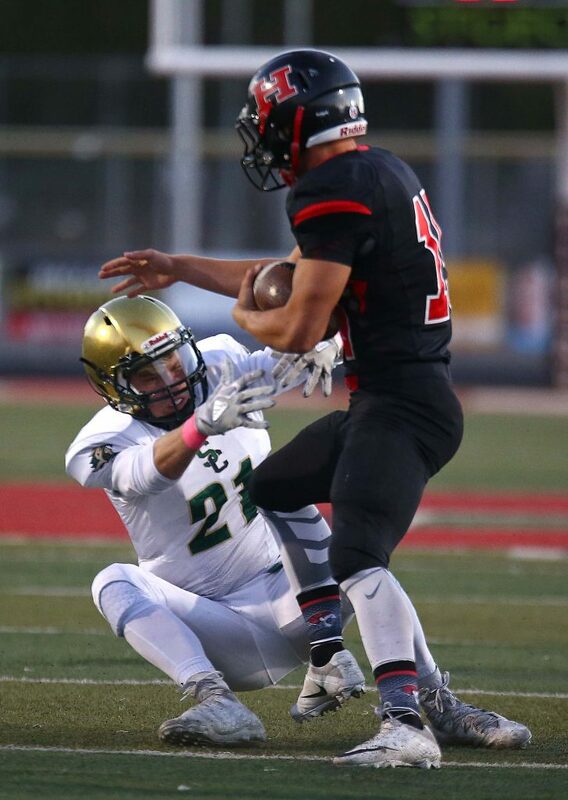 After barely holding on for a 7-0 win over Canyon View, the Warriors O needed a jolt. 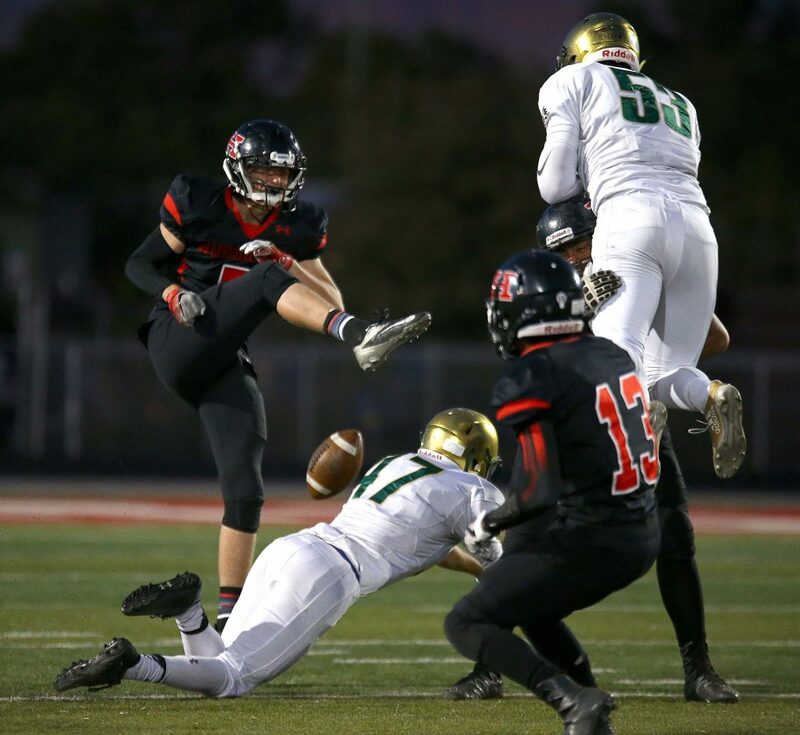 A big special teams play to put the Warriors in great field position Wednesday night and, after scoring that first touchdown, the floodgates opened. 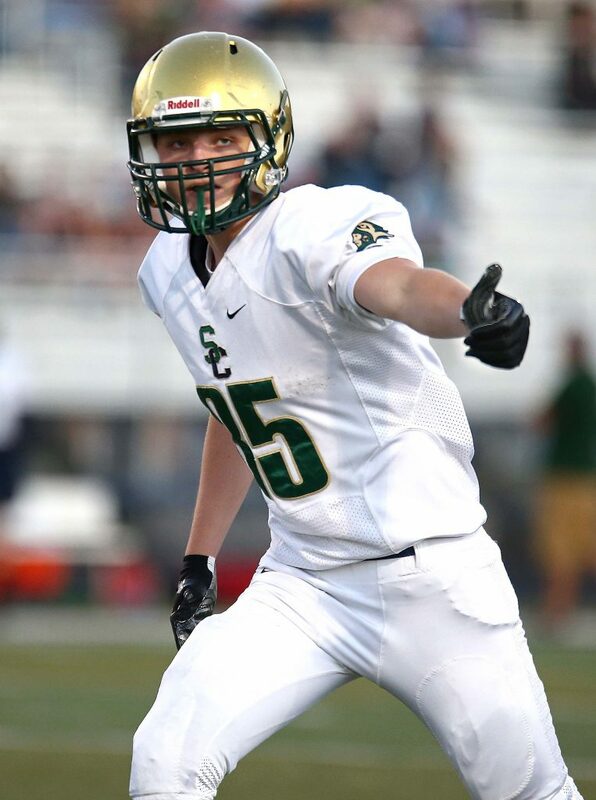 Quarterback Austin Staheli connected several times in the first half for big yardage in Snow Canyon’s decisive 41-14 victory over Hurricane on the road. Staheli did have a turnover early in the game. On the Warriors second possession, he threw deep. Tiger defensive back George Sanchez picked off the pass and returned the ball to the Hurricane 35-yard line. But the Warrior defense held. In came the Tiger punting unit. Linebacker Alex Kennedy was on the right side. He bolted through on the snap and barely beat two other rushers to be the one who blocked the punt. 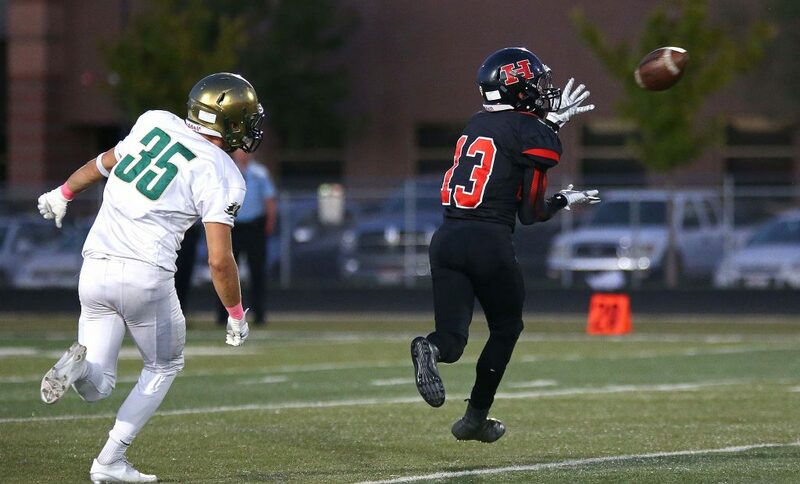 Kennedy then scooped up the ball and returned it 10 yards to the Tiger 11-yard line. 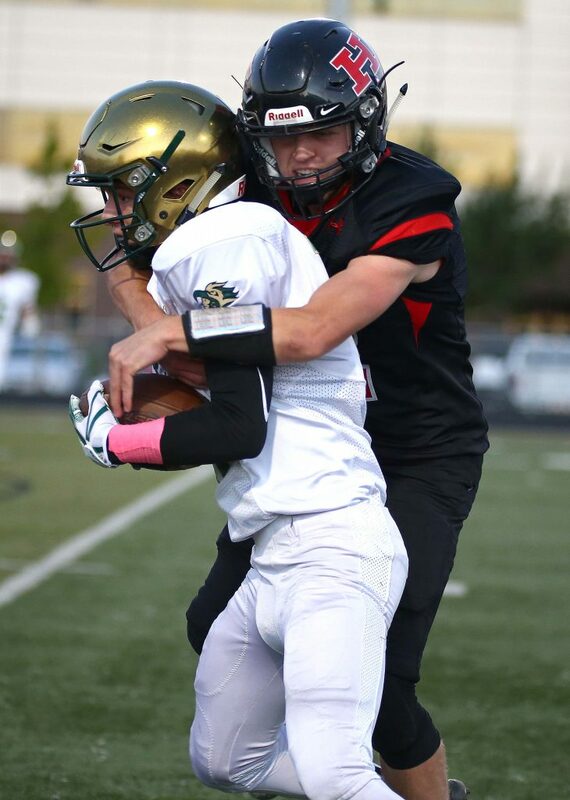 After a 1-yard loss on first down, the Warriors gave the ball to receiver Jase Mendenhall on a reverse. Mendenhall gained the 12 yards to pay dirt, racing to the far-side pylon. With three minutes remaining in the first, the score was 7-0. On Hurricane’s next possession, the Tigers drove the ball 51 yards down to the 15-yard line before stalling. The Hurricane field goal attempt to begin the second quarter went wide left. The Warriors took over at their own 20. Staheli completed two passes and had a 15-yard run to set up the longest play of the night. Running back Tosh Wright took a handoff, burst through the line, then ran up the Warrior sideline 44 yards to score his first touchdown of the night. With 7:12 left in the half, the score was 14-0. The Warriors held the Hurricane offense to a three-and-out. After the punt, they had the ball on their own 28-yard line. Staheli drove the team 72 yards in eight plays for the next touchdown, this one a 3-yard dive by Wright with 2:11 on the scoreboard. 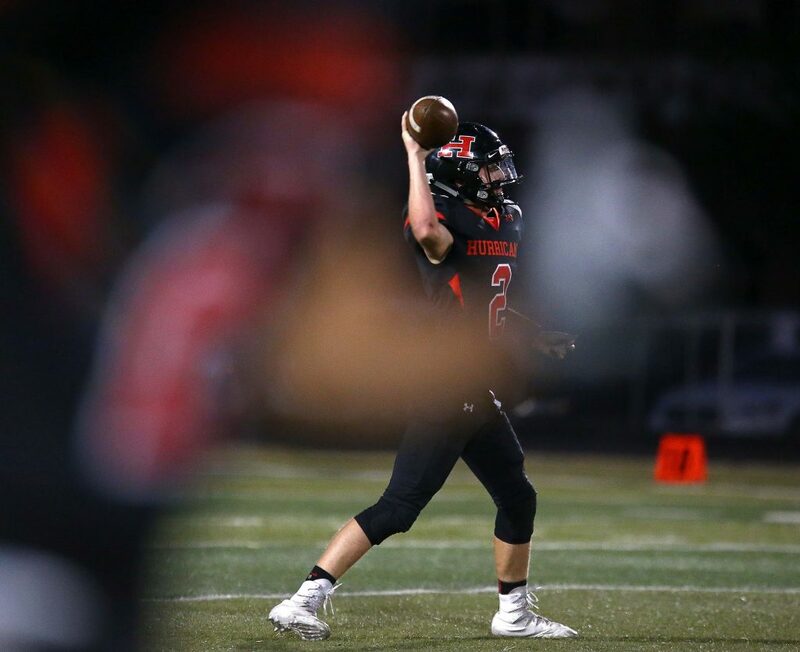 The Warriors again held the Tigers on their ensuing possession and got the ball back on their 47-yard line with 58 seconds left. Staheli only completed 2 of 5 passes on the possession. But the passing yardage along with a personal foul penalty was all he needed. He found receiver Andrew Day for a 13-yard touchdown pass. That was set up by a 28-yard screen pass to Wright. The score came with 8.2 seconds remaining, but gave the Warriors a commanding 28-0 lead going into halftime. At intermission, the Warriors held a 263-52 yard advantage. Staheli had 192 yards passing at the break. 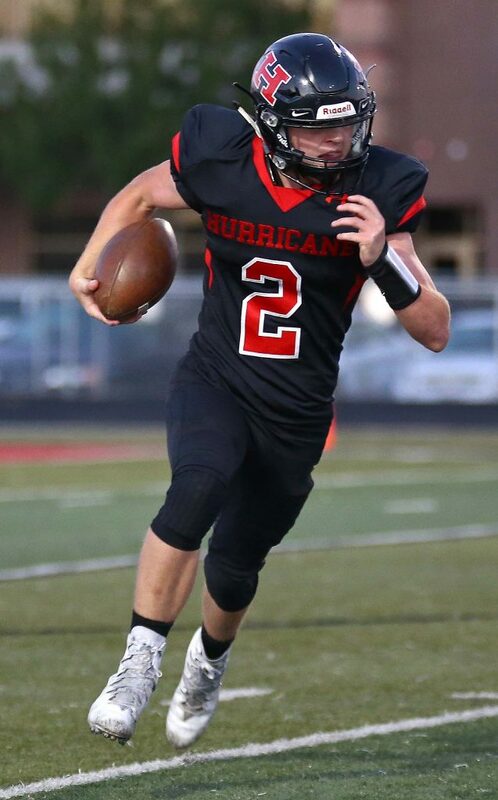 Hurricane started with possession in the second half. 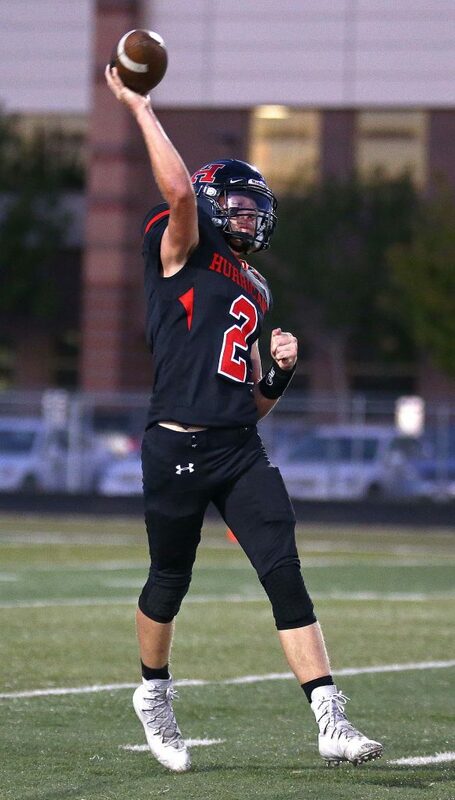 The Warriors forced another punt and a good return by Wyatt Parry got the ball to the Tiger 35-yard line. Two false starts moved them back 10 yards, but then Staheli found receiver Brooks Sampson with a 38-yard strike down to the 7-yard line. Two plays later, Wright had his third touchdown of the night, again from 3-yards out. 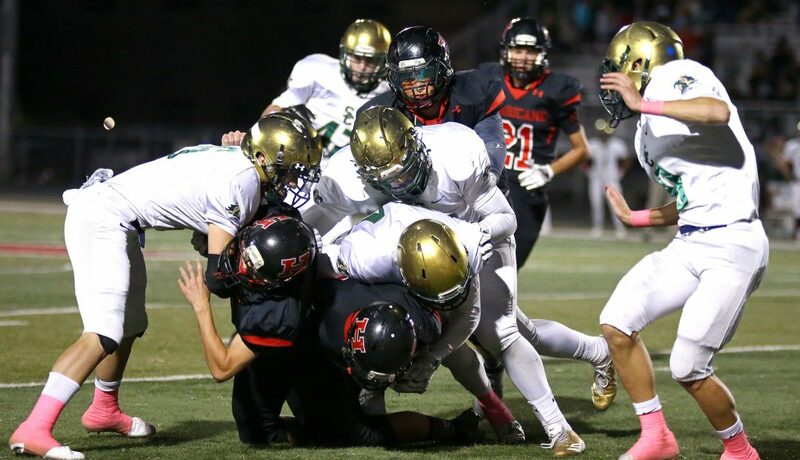 Day had his PAT blocked by the Tigers, but the Snow Canyon lead was 34-0 with eight minutes remaining in the third. The Warrior defense held again. The snap went over the Tiger punter’s head. 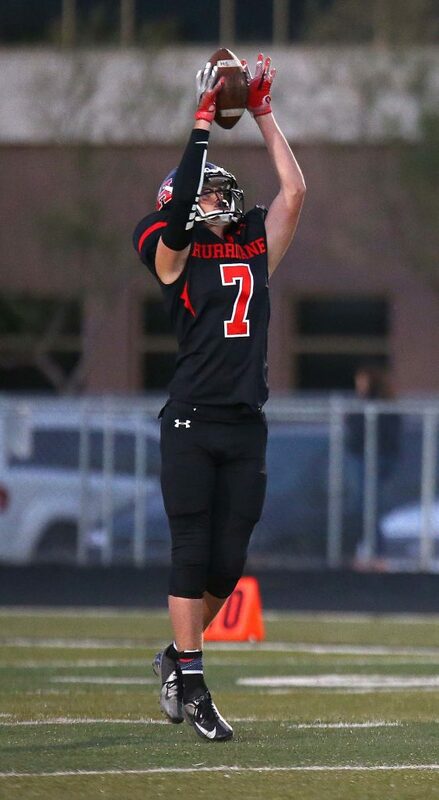 He was able to retrieve it in the end zone and get the punt off, but in the effort to get it off before it was blocked, the ball sailed high, but not far. The Warriors again had great field position at the Tiger 25-yard line. At this point, Coach Esplin emptied his bench and reserve players saw action the remainder of the way. Six plays later, reserve running back Ryan Bethers scored from 6-yards out to move the score to 41-0 with 2:43 remaining in the third. The Tigers did get two long sustained drives in the final quarter. The Hurricane offense had 150 yards in the fourth. Jaron Cordova finished the first scoring drive with an 8-yard run. 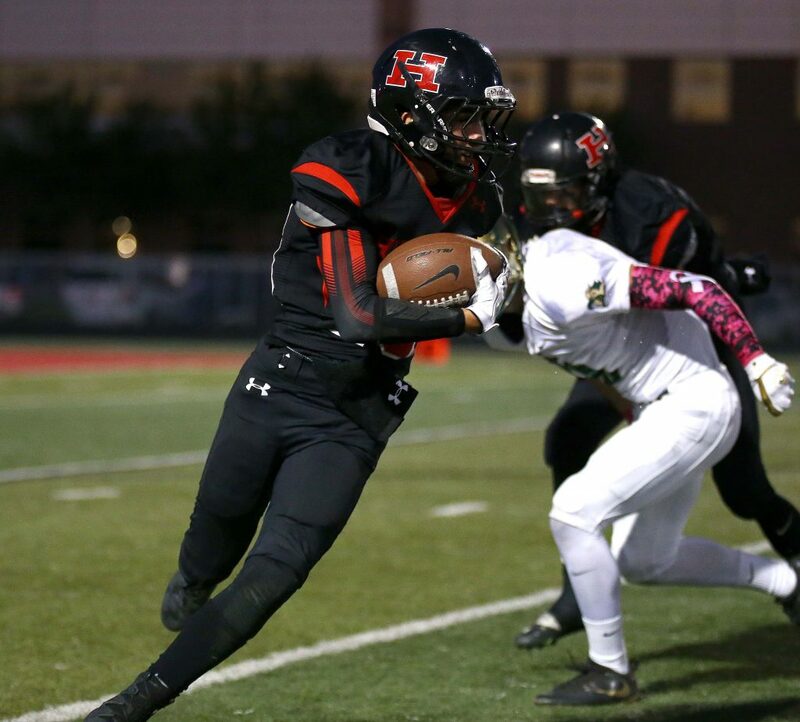 On HHS’s next possession, speedy running back Tyler Moore scored on a 44-yard run on a sweep around the right side. The Tigers closed the yardage gap considerably in the fourth quarter. 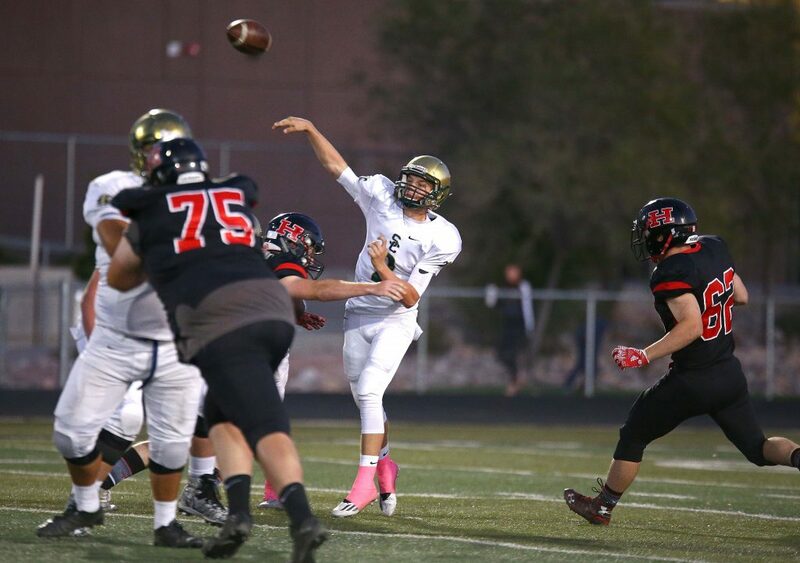 For the game, Snow Canyon outgained Hurricane 340-255 yards. 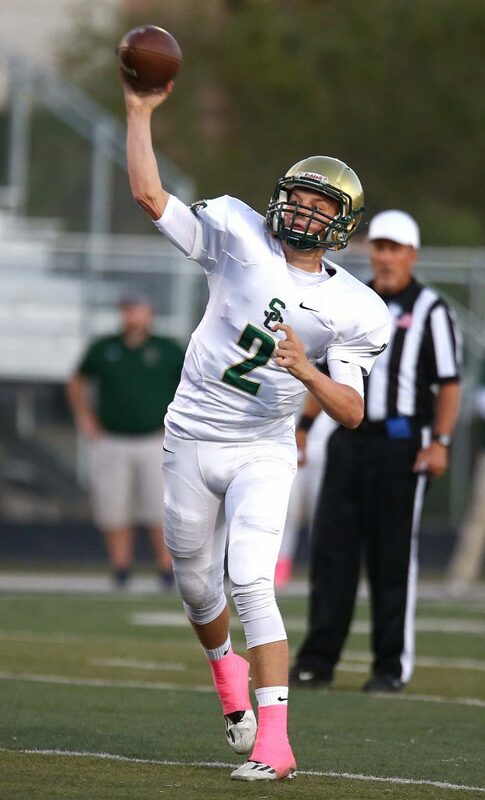 Individually, Staheli completed 13 of 23 passes for 229 yards and one touchdown. 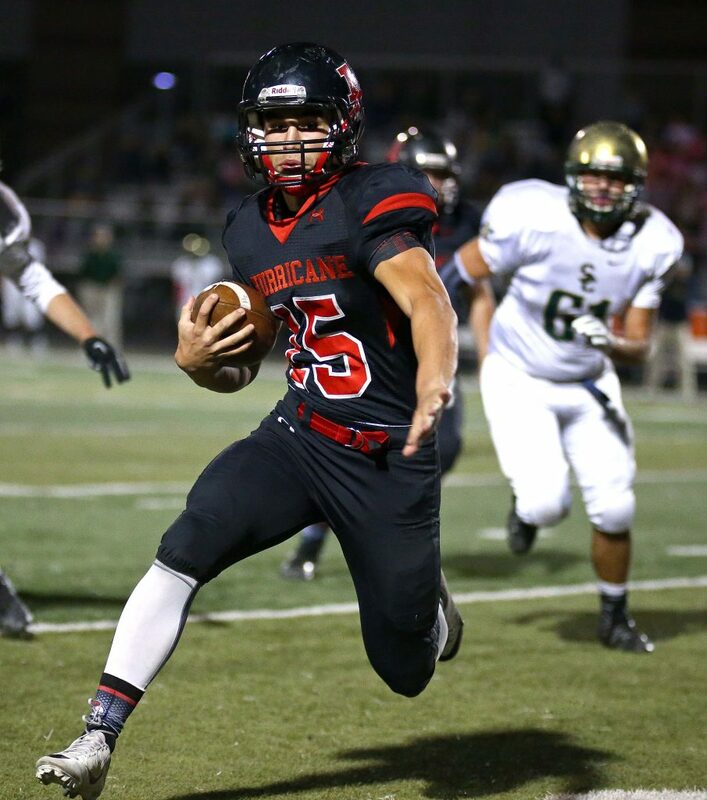 Wright scored three touchdowns and gained 71 yards on seven carries. Mendenhall had the rushing touchdown and also led the team with 88 yards on five catches. Day had three receptions for 29 yards. 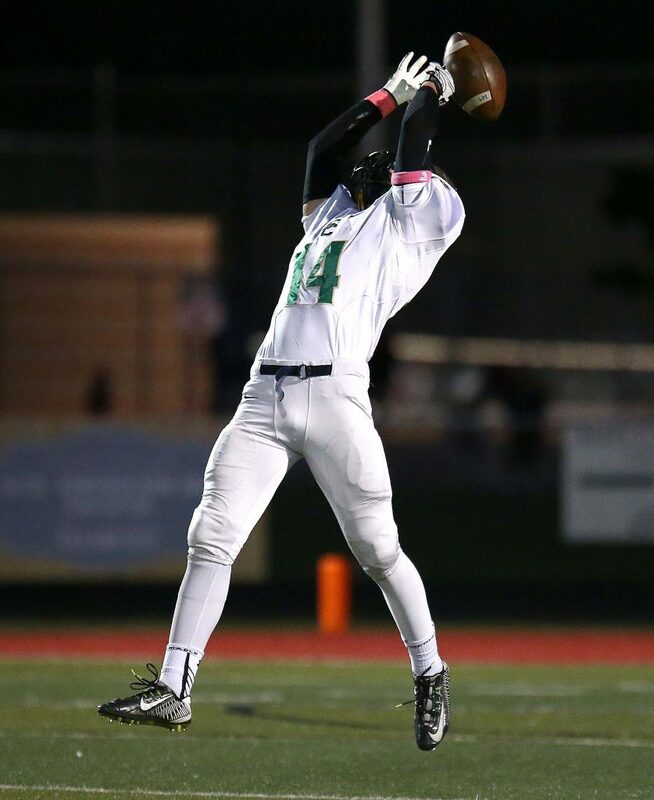 Sampson and Kameron Webster had two catches apiece for 46 and 34 yards, respectively. 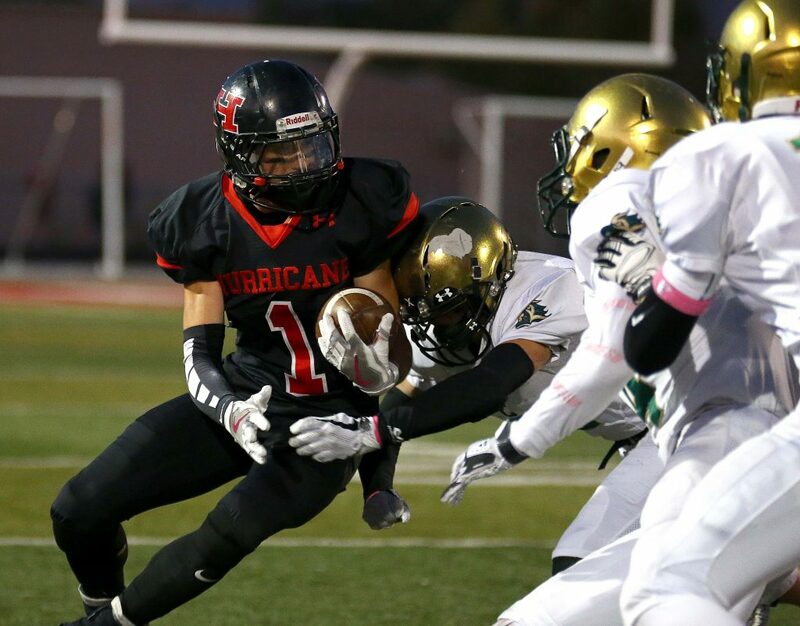 For Hurricane, Cordova led all players with 172 rushing yards on 21 carries. Moore had 53 yards on eight carries. 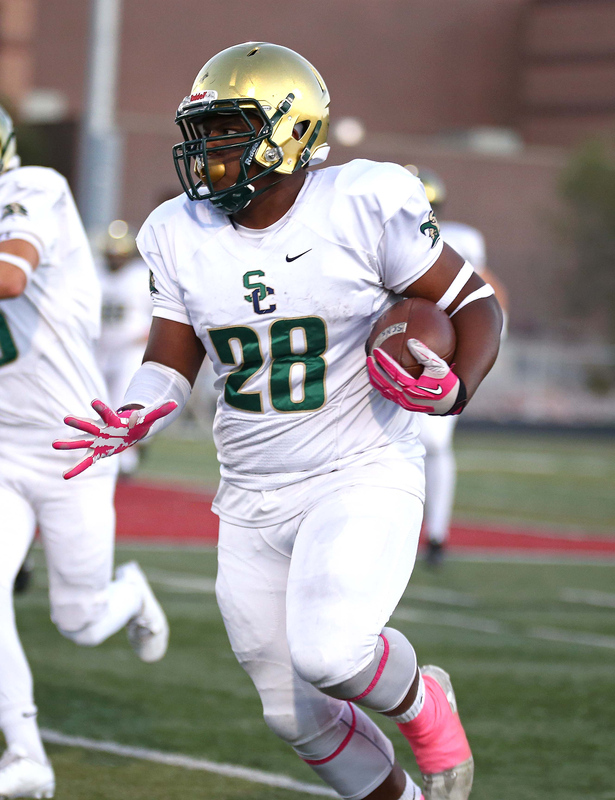 Snow Canyon moves to 3-2 and into a four-way tie for second place in Region 9. 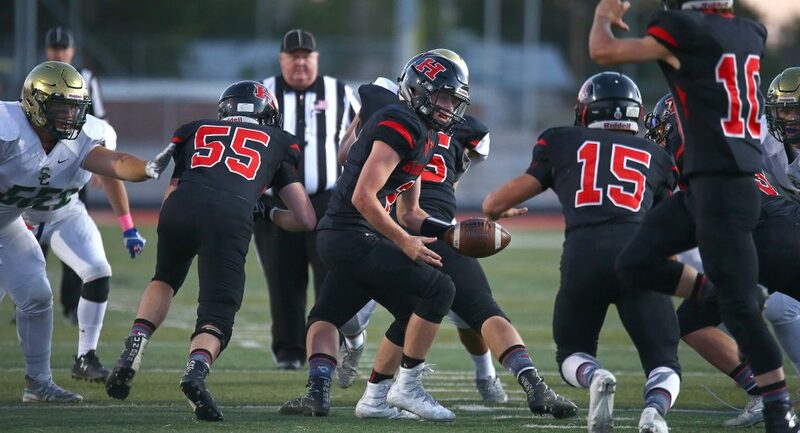 The Warriors are 6-2 overall and will host Desert Hills next week in a game that will clinch a playoff spot for the winner. 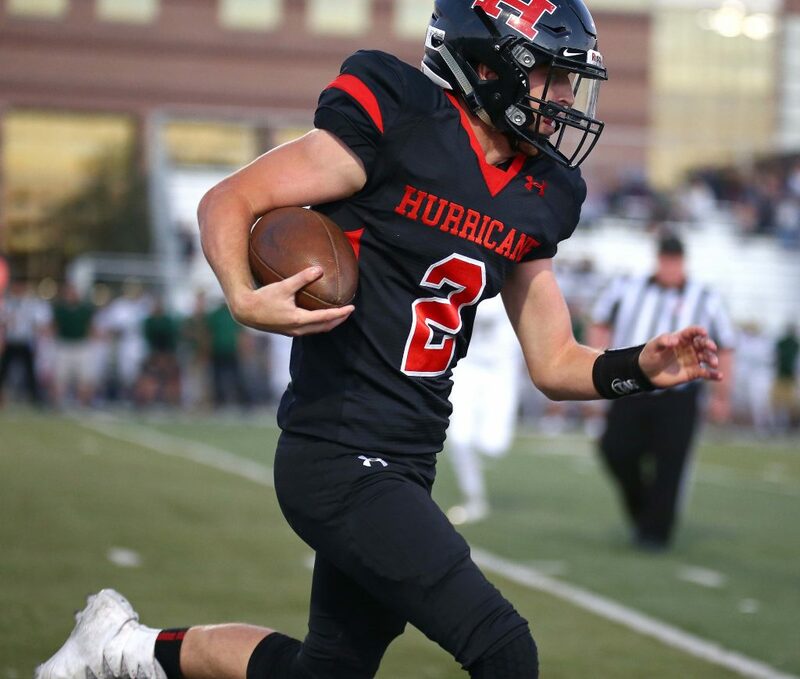 Hurricane moves to 1-5 in Region 9 and 2-7 overall. The Tigers’ season is complete.